Some early studies of people with aphasia reported strikingly better performance on lexical than on sublexical speech perception tasks. These findings challenged the claim that lexical processing depends on sublexical processing and suggested that acoustic information could be mapped directly to lexical representations. 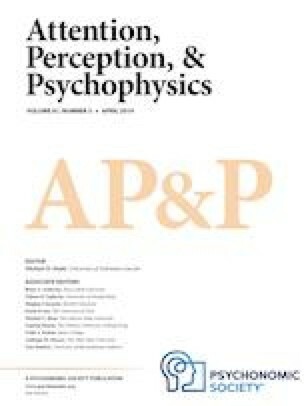 However, Dial and Martin (Neuropsychologia 96: 192-212, 2017) argued that these studies failed to match the discriminability of targets and distractors for the sublexical and lexical stimuli and showed that when using closely matched tasks with natural speech tokens, no patient performed substantially better at the lexical than at the sublexical processing task. In the current study, we sought to provide converging evidence for the dependence of lexical on sublexical processing by examining the perception of synthetic speech stimuli varied on a voice-onset time continuum using eye-tracking methodology, which is sensitive to online speech perception processes. Eight individuals with aphasia and ten age-matched controls completed two visual world paradigm tasks: phoneme (sublexical) and word (lexical) identification. For both identification and eye-movement data, strong correlations were observed between the sublexical and lexical tasks. Critically, no patient within the control range on the lexical task was impaired on the sublexical task. Overall, the current study supports the claim that lexical processing depends on sublexical processing. Implications for inferring deficits in people with aphasia and the use of sublexical tasks to assess sublexical processing are also discussed. The online version of this article ( https://doi.org/10.3758/s13414-019-01718-3) contains supplementary material, which is available to authorized users. We wish to acknowledge the contribution of the participants, particularly those with aphasia, to the current study. We would like to thank the members of the Brain and Language Lab at Rice University and the MACLab at University of Iowa for assistance. Finally, we would like to thank the reviewers for their thoughtful comments and suggestions. This work was supported by the Gertrude Maurin fund (HRD) and the T.L.L. Temple Foundation Neuroplasticity Lab (RM) at Rice University and NIH grant DC 008089 (BM). Data for the experiments reported here are available at: https://osf.io/9z8x2.